In a bid to further spread Korean pop culture throughout the world, Korea will seek cultural exchanges with other countries, including members of ASEAN and CIS, the state-run agency promoting Korean culture said Monday. Korean Culture and Information Service announced its strategies aimed at boosting Hallyu or Korean Wave, referring to the popularity of Korean entertainment and culture in other parts of the world. Language and Korean culture experience are also part of the plan. Seoul government aims to increase the number of foreigners attending the Sejong Institutes from the current 60,000 to 90,000 by 2022, and increase the “Sejong Culture Academy” programs -- hands-on experience for foreigners on Korean culture – from the existing 15 to 50. The KOCIS will seek assistance of big data for its strategies in the future, spending 10.4 billion won ($9.7 million) in creating the data analysis system on responses from 10 countries on culture, art, travel and other Korean content to predict the demand for each category according to different regions. 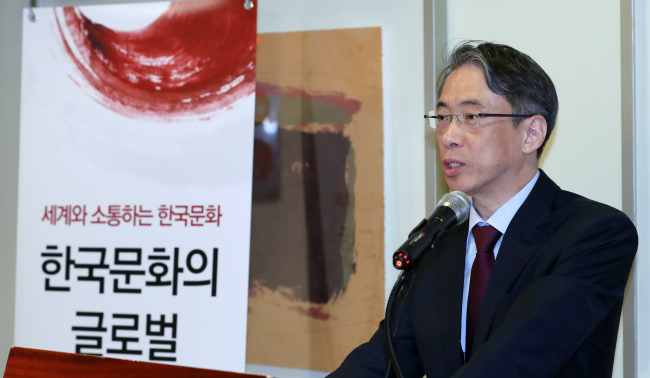 Seoul International Writers‘ Festival, which invites local and international writers under a different theme every two years, will become an annual festival starting this year and a book introducing art works in Korea will be published by the Korean Arts Management Service.